Civicplan wins Community in Motion Award for pedestrian friendly organization. This is awarded to an individual business/organization or group of businesses/organizations that demonstrate significant impact on promoting pedestrian mobility and a pedestrian-friendly environment through infrastructure, promotional programs or other similar initiatives such as PlanLocal: Ward 2 Safe Streets. 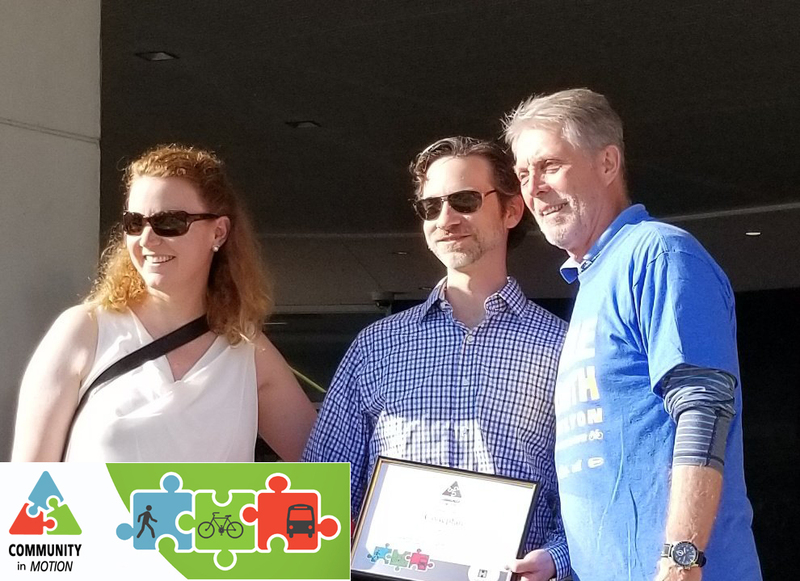 The Community in Motion Award is an award to recognize members of the community who have made an effort to actively support and promote the use of healthy and sustainable forms of transportation such as walking, cycling, and public transit.